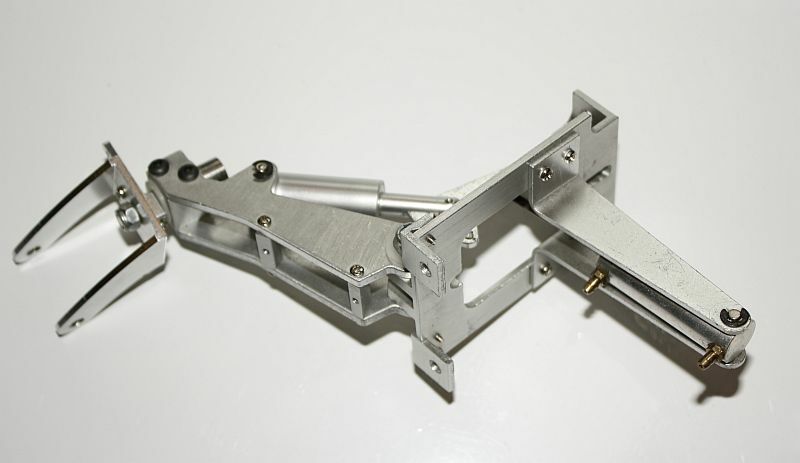 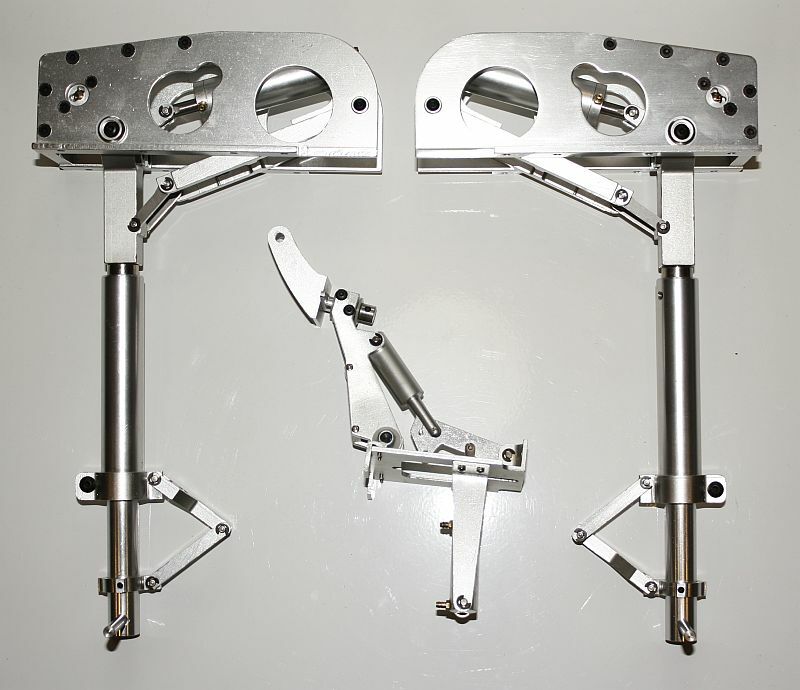 CYMODEL: Air Retract System with struts, wheels and retract mechanism. 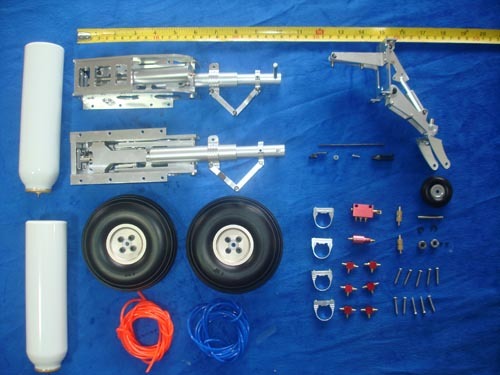 This kit fits the CYMODEL F4U Corsair (CY8007). 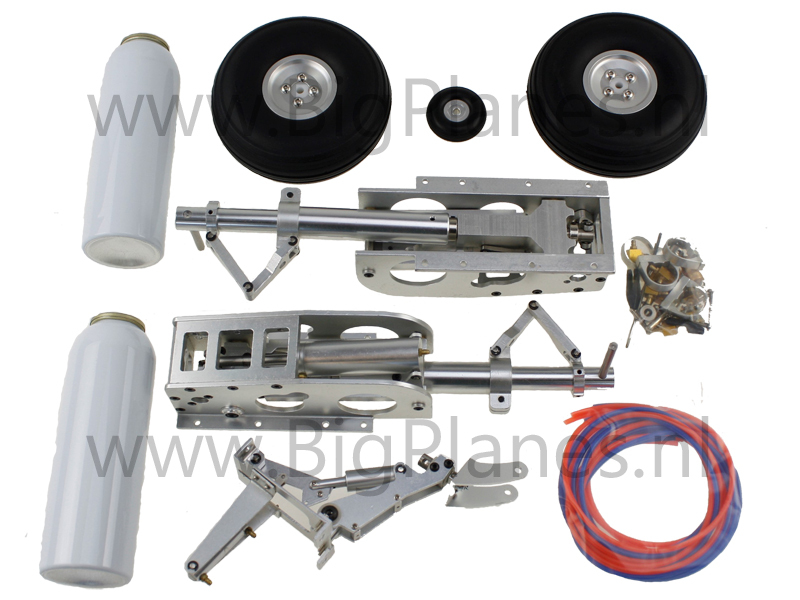 CYMODEL Air Retract kits include retract units, struts, tires with aluminum hubs and mounting hardware. 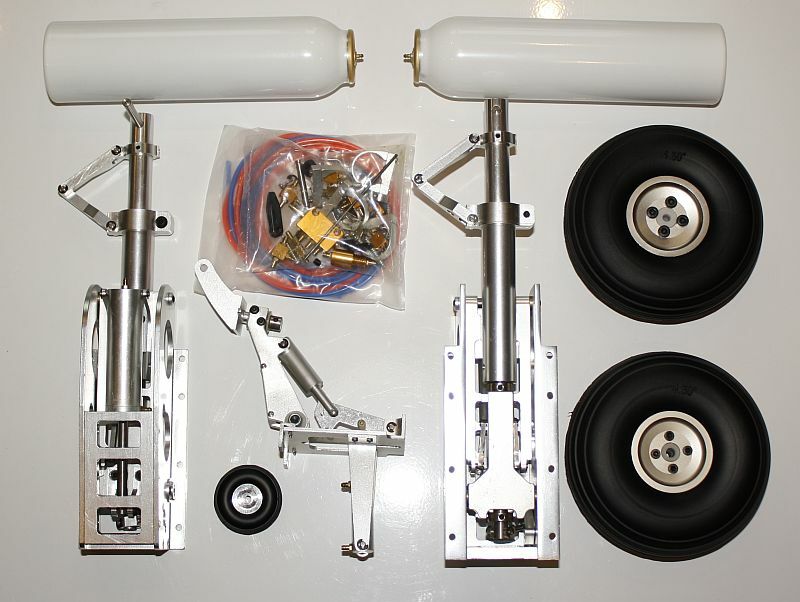 Main tires included with the F4U pneumatic retracts are 4.5" and the tail wheel is 1.75".